October 3, 2017 By Editor & filed under Blog, Recipe Roundups. When you’re trying to lose weight and get healthy, the hardest part can be avoiding indulgences. That chocolate cake or pint of ice cream starts to sound really appealing after eating lean for a few days (especially if we’ve had a hard day or still feel hungry after dinner). However, an important part of getting fit is understanding you don’t need to totally deprive yourself 24/7 in order to be healthy. Saying you’ll “never eat dessert again” is unrealistic and might set you up for failure when all that deprivation drives you to binge on an entire box of cookies later on. What’s a better plan? 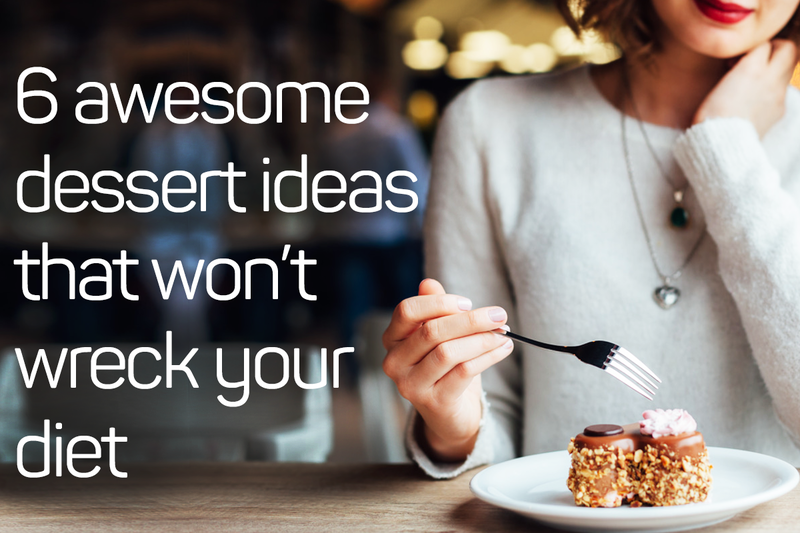 Having a few lower-calorie, healthier dessert options on hand for when sugar cravings strike. Indulging once a week on one of these healthy desserts will satisfy your cravings without sabotaging your healthy eating. 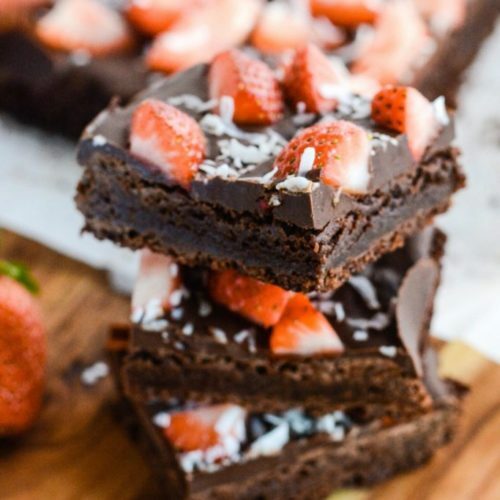 These ooey-gooey, double-chocolate strawberry coconut brownies are made without flour, granulated sugar, or butter, making them a gluten-free, mouthwatering dessert everyone will love. By using almond butter and coconut sugar, these treats offer a healthifier alternative to regular brownies while still retaining the texture and taste of classic brownie recipes. 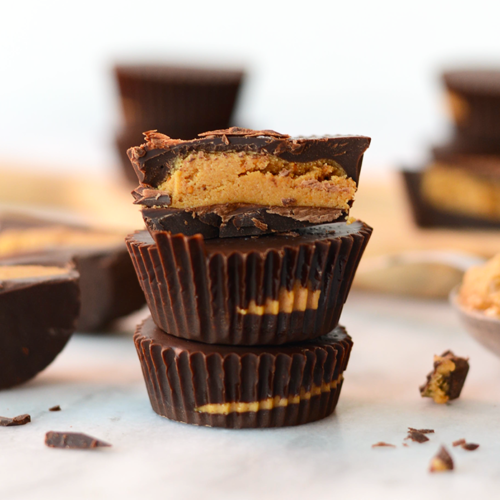 When cravings for chocolate and peanut butter come calling, look no further than these protein peanut butter cups! Using just four natural ingredients and 15 minutes, you can make these amazingly yummy treats that are filled with protein and low on calories. Plus, because they use just four simple ingredients, you’re not getting all the artificial ingredients that are often added to chocolate candy bars at the store. This recipe is one of our all-time favorites, and it’s easy to see why: it only requires a handful of ingredients and it takes just 5 minutes to make! 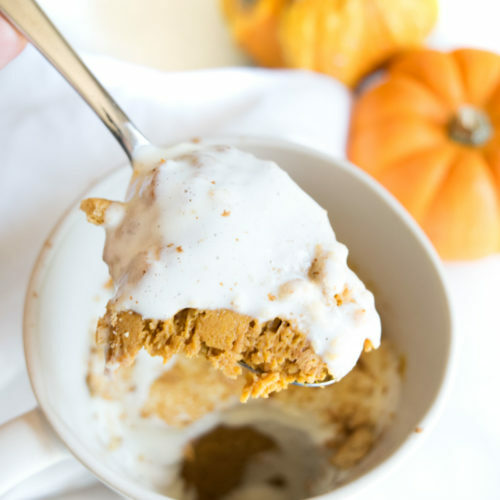 By using pumpkin puree, an egg, coconut condensed milk and a few simple spices, you can enjoy the classic taste of pumpkin pie in a few short minutes. We’re partial to adding a whipped cream topping with graham cracker crumbles too—the whole shebang only adds up to 168 calories. Who doesn’t love the crispy crunch and sweet whipped cream of a dessert parfait? This Vegan, Gluten-Free recipe is still just as delicious sweet thanks to coconut whipped cream and a crunchy layer of pecans, dates, and cinnamon. 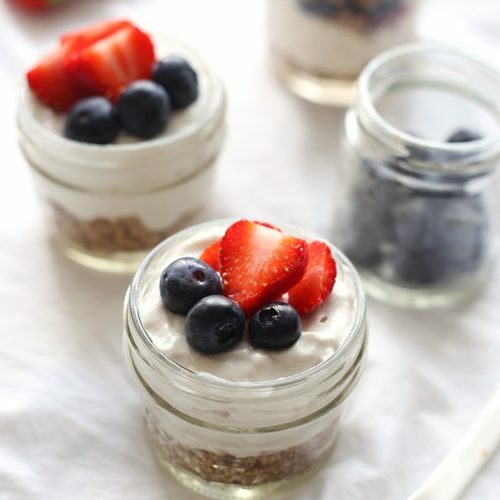 You can substitute whatever fruit is fresh or in season and quickly make these parfaits that are as adorable as they are healthy and delicious! With their crunchy, chewy texture, oatmeal cookies always hit the spot. 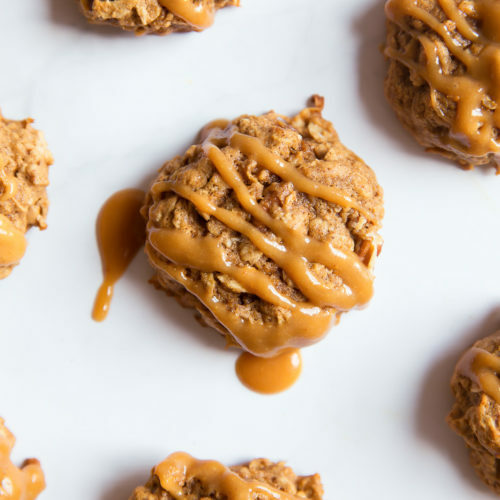 These apple oatmeal cookies are topped with a decadent peanut butter glaze and still come in under 150 calories. By using coconut oil, coconut sugar, and almond milk, you cut down on sugar and artificial ingredients, too. These would make the perfect cool-weather treat to bake for your family and feel good about having a few, too. There are some days when ice cream cravings strike hard. On those occasions, reach for something a little lighter but just as tasty: “nice” cream! Nice cream is dairy-free and uses frozen bananas and a food processor to create a perfectly creamy treat. 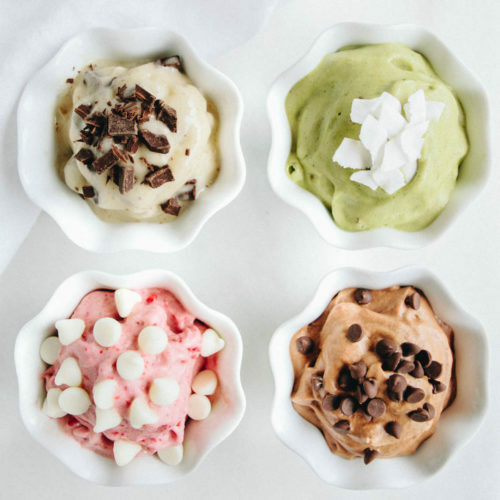 You can experiment with flavor combinations, but we’re partial to the four we tried: chocolate peanut butter, matcha, raspberry, or mint chip! (Find all four recipes by clicking on the title or picture above!) All four varieties are less than 200 calories per serving. What’s your favorite guilt-free dessert recipe? Let us know in the comments below!